On 24 August 2018, Ausdance Victoria released findings from a three month study titled Leading and Teaching Dance to Ageing Populations. Led by Ausdance Victoria’s Director of Education and Lifelong Learning, Dr Katrina Rank, this report aims to contextualise Victorian programs within the national and global trend to provide dance experiences to older people and to prepare the industry for future demand. Between November 2017- February 2018 Ausdance Victoria undertook research into the breadth and prevalence of dance programs delivered specifically for older people in Australia. The research was a response to unprecedented inquiries about seniors’ dance programs and recommendations for dance teachers with suitable experience and qualifications. Research shows that participation in ongoing dance programs improves health outcomes for older individuals (Hwang & Braun 2015; Keogh et al, 2009). It can reduce the risk of dementia (Verghese et al, 2003), improve balance, core strength and coordination leading to a reduction in falls (Rehfeld et al, 2017; Merom et al, 2007), it increases social connectedness, mental health and well-being (Hui et al 2009), while improving physical condition and mental acuity (Kattenstroth et al, 2013). Ausdance Victoria undertook an intensive literature review, a desk review of programs online, surveyed individuals working in this field and conducted focus groups. 79 dance programs for older dancers currently operating in Australia. We acknowledge that there are likely many more yet to be identified. Several companies and performance groups for dancers of fifty years and over, indicating a greater personal need for visibility, creative expression and artistic challenges. 48 training and professional development programs, nationally and internationally. Three Australian accredited training programs, specialising in this area. Several Australian non-accredited training or professional learning programs. 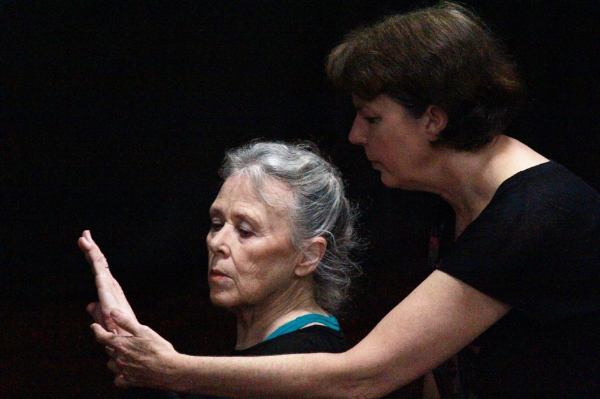 No specialised Victorian program to train dance professionals to work with ageing populations. A strong view from respondents that - dance leaders should be experienced dance artists or dance teachers who hold, police checks and first aid qualifications; and this person should undertake further studies to extend their knowledge base. Focus group respondents supported the development of dance professionals to work within community, residential and care facilities, not as health workers but as teaching artists. Scope other training opportunities for nationally recognised training, particularly in Victoria, the second largest provider of programs to older dancers in the country. Work with stakeholders to develop and evaluate accredited training, in appropriate areas. Work with a range of stakeholders to facilitate best practice in the delivery of dance opportunities for older people. Ausdance Victoria is currently exploring opportunities to develop a training program, building the dance workforce to meet future demand. We're looking to establish significant. partnerships and source funding that will enable a pilot of the program and the development of digital resources.